5 Star Neeson doing what he does best. This a tense and compelling film that shows the flaws of man and the thoughts of those who think their country doesn’t go far enough to protect them. 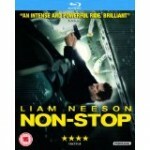 Liam Nesson joins director Jaume Collet-Serra (Unknown) once again, to bring you Non-Stop, a film about the not so pleasant in flight entertainment. 4 stars for this heartwarming and funny film. Expecting is written and directed by Jessie McCormack (The Antagonist, The Amateurs) and deals with the tricky topics of I.V.F. failure and adoption and the ways in which they can affect people, in a way that is both bold and funny. 5 stars of glossy swashbuckling adventures. One Piece Movie: Strong World is the tenth One Piece film and is written by Eiichiro Oda (the creator of the original Manga) himself, the first of the films that he actually wrote the story for. The film is directed by Munehisa Sakai. 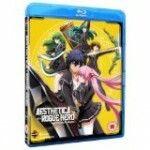 5 Star Bank Robbing Comedy. 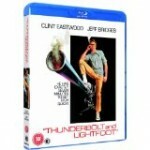 From the writer (Michael Cimino, Deer Hunter) that gave us first Silent Running then Magnum Force, comes his directional debut, Thunderbolt and Lightfoot. He brings us a tale of bungled heists, the resolve of the robbers, and the bright ideas of the young. 2 stars of unfortunately predictable Slasher/ Horror flick. Camp Dread is written and directed by Harrison Smith (The Fields, 6 Degrees of Hell) and tells the story of Dead.tv, a reality TV show, the auditions for which form the opening credits of the film. 4 stars for this delightful and beautifully animated children’s film. 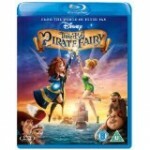 Tinkerbell and the Pirate Fairy is brought to us by Disney and directed by Peggy Holmes (Secret of the Wings). It is the fifth film in the Tinkerbell series and continues the tale of the fairies of Pixie Hollow, a part of Never Land and the Peter Pan world. 4 Star Sword, Sorcery and Renkankei-kikou fun. The story starts where most stories end, as Akatsuki Ousawa has killed the Last Dark Lord, in the land of Alayzard, a place that young males and females are occasionally whisked to through a portal from Earth. Alayzard is a land of Swords, magic and Renkankei-kik, (Chi, the training of the bodies inherent powers).